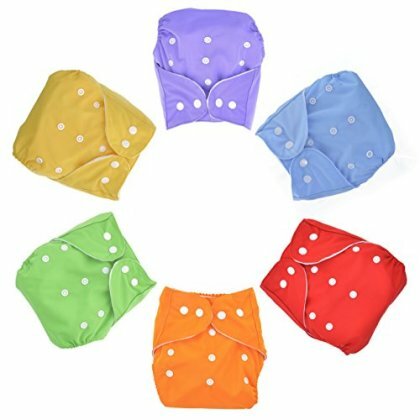 Cloth Pocket Diapers, Six Diapers and Six Inserts. Adjustable, One Size Fits All. Washable And Reusable, Gender Neutral Colors.